Cotton prices were influenced by the swine flu disaster in China and its spillover into all commodities. The price rally continued higher, as fund managers gave up their attempt to drag prices lower and the ensuing short covering sent the bears running for cover as they exited losing positions. While the rally moved to 78 cents, basis the nearby May contract, it met rather stiff price resistance on an attempted move to 78.50 cents. Holding above the 77.00-77.25 cent level is critical for the rally to continue. The new crop December contract advanced above 75 cents, thus triggering additional grower hedging and contracting. Adding fuel to the price rally was the second consecutive week of purchases by China. While the business was small, the cotton bull was ready to digest anything. Thus, the mention of China – whether it be swine flu or cotton – provided an uptick in price activity. Yet, that enthusiasm can erode quickly without continued buying. With all this new-found upward price momentum, growers are cautioned that the supply demand situation favors a retraction in prices. The near-term price movement, for all its St. Patrick’s Day good will, is likely to see a limited selloff rather than a further increase. Thus, growers continue to be advised to be aggressive hedgers of new crop above 75 cents, basis the December contact. Growers are also cautioned that the short term rally has created an overbought situation – another reason to fix new crop prices above the 75 cent level. The delayed corn planting in the Mid-South and Southeast has opened the door for additional cotton plantings. 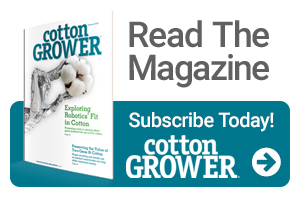 That, coupled with the new seed genetics available to growers, will likely encourage cotton plantings above the potential 14.4 million acres many initially expected. However, reasonably dry conditions predicted into next week will be favorable for corn planting. Too, Mississippi River models by the Vicksburg Corp of Engineers expect continued low-lying crop land to see some flooding into May. Long range weather models favor an El Nino pattern throughout the Cotton Belt, thus suggesting growers should enjoy very favorable yields during the coming 2019 growing season. In fact, yield forecasts favor a 23.5 to 24.0 million bale U.S. harvest, with an increasing opportunity for the U.S. to experience a record cotton harvest. A 23-24 million bale crop will nudge U.S. 2019-20 carryover stocks higher and weigh heavy on harvest time prices. China should be a significant buyer during 2020, but Brazilian growths will likely be the first choice of any Chinese government-backed purchase. Thus, U.S. growths will have be very competitive in price to move the quantity of U.S. crop needed to hold December above 72 cents. Consequently, the U.S. cotton industry will have to heavily promote the substantial merits of the U.S. seed genetics to maintain market share. Chinese stocks will be worked lower during the coming season, as will Australian and Brazilian stocks. Indian ending stocks will also continue to move lower than the current USDA estimate for 2018-19, and this will offer support on the May-July futures contract in the mid to upper 70s. Again, growers are advised to be aggressive new crop hedgers at 75 cents or better, basis the December contract. Give a gift of cotton today. Dr. O.A. 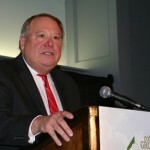 Cleveland is professor emeritus, Agricultural Economics at Mississippi State University. See all author stories here.